In 2005, I was at a meeting of energy experts close to Dominion Energy Inc.’s (D) liquefied natural energy (LNG) terminal in Cove Point, Maryland. At the meeting, it was unanimously concluded that at least 15 percent of U.S. natural gas demand would be met by LNG imports within the next decade. In those days, nearly 70 percent of the U.S crude demand was projected to be met by imports. At that time, American oil production was not even 7 million barrels a day with well over 60 percent of total volume coming from “stripper wells” – each providing less than 10 barrels daily but many more barrels of water than oil. But nobody could have foreseen (myself included) the largesse LNG would provide. On Wednesday, the U.S. Department of Energy reported that the U.S. would become a net exporter of crude oil and natural gas by 2022, which would mark the first year that U.S. energy exports surpassed imports since 1957, when Dwight Eisenhower was president. And that is a very big deal. Understanding why the U.S. is on pace to export more energy than it imports boils down to two events that have dramatically transformed export prospects. The first being when lawmakers ended the 40-year ban on U.S. oil exports back in December 2015. At the time, excess supply was wreaking havoc on the energy sector as a whole. There was just too much American oil sitting around in storage, with no one around to buy it. The second event was the LNG Revolution. The growth in U.S. LNG exports has dramatically transformed the global energy markets. As I said above, just over a decade ago, the U.S. was expected to become a growing LNG importer, not exporter – likely to be dependent on Russian, Middle Eastern, and North African gas. Instead, the U.S. has quickly become a dominant force in the LNG market by offering cheaper and more flexible cargos, and by being a more politically palpable supplier. Fact is, both of these events have significant implications for investors because they bring into focus some companies likely to profit – a trend that should be continuing for some time. The crude export totals coming out of the U.S. have been nothing short of staggering. Even during the “prohibition” period, there were still some exceptions for low-grade oil (not having a sufficient domestic market) and a few consignments designated as tolling (moving raw material out in return for refined product coming back in). But the overall amount was quite low. Today, an amount approaching 2 million barrels a day is leaving the US, bound for higher-priced markets abroad. Exports are becoming capped only by the limits in port infrastructure and tanker availability. For some time, U.S. refineries have already been global leaders in exporting finished products such as gasoline, diesel, low-sulfur heating fuel, high-grade kerosene (i.e., jet fuel). These days, crude imports are basically happening to allow end-users (the refineries) to exploit cost differences, thereby improving the refinery margin. That margin is the essential indicator of profits; it is the difference between what it costs the plant to manufacture the product (the largest ingredient being the cost of oil) and the revenue received at the first wholesale transaction point (still carrying the traditional title of “rack price”). The LNG market is the other major mover. LNG is natural gas that has been liquefied at extremely low temperatures to make it easier to store and transport. And until late last year, the U.S. provided no volume to the world market. In fact, the U.S. only started to export LNG overseas in February 2016 when the first liquefaction train at the Sabine Pass terminal in Louisiana opened. Until that, the only natural gas exports were via pipeline to Mexico. Fast forward to today and current estimates have U.S. exports will provide at least 6-8 percent of the world’s supply by 2020. These exports of crude oil and LNG are already providing support for increasing field production without adversely impacting market price. They are likewise affording some leverage in U.S. relations with other producers worldwide, especially OPEC, and Russia. Coal, the last of the three fossil fuels, has been a net exporting source for a while now. The EIA says that will continue to be the case at last until 2050. However, increases in the export volume will be mitigated by other sources being more local to the markets comprising the principal centers of rising demand, especially Asia. Also, American shipping facilities are reaching capacity. As a result, the EIA calculates that U.S. production of oil and natural gas will continue to grow through 2040 and beyond. But the most striking factor to consider is oil. Almost 13 years ago, that Cove Point meeting was expecting daily oil production to come in at about 6.8 million barrels. Today, it is more than 10 million barrels, and the EIA believes it will reach 11.2 million by 2022. 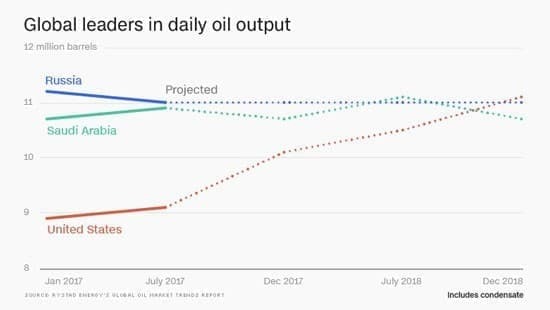 That surging output should allow the U.S. to dethrone Russia and Saudi Arabia as the world’s leading crude oil producer – a title that it hasn’t had since 1975. 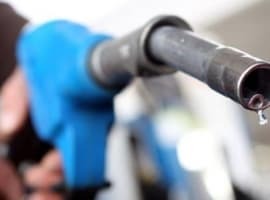 As for demand, the EIA also sees consumption growing steadily over the next two years, with global demand rising by an average of 1.7 million bpd in both 2018 and 2019. Related: Is History Repeating Itself In Oil Markets? Not to mention a new era of energy profits for us to target. While the US could become a net exporter of natural gas by 2022, becoming a net exporter of oil is a different matter. Let discuss US LNG exports first. In 2017 the US exported an estimated 14 million tons (mt) of LNG and this is projected to rise to 20-27 mt by 2022 compared with 70 mt by Qatar and some 60 mt by Australia. With global demand for LNG growing by leaps and bounds, Qatar is planning to boost its LNG production capacity by 30% from 77 mt currently to 100 mt per year with the aim of maintaining its position as the world’s largest producer and exporter of LNG. Qatar currently accounts for 32% of global LNG demand and 80% of all LNG exports to the Asia-Pacific region. Then there is Australia which is investing heavily in expanding its LNG production and export capacities. By the 2020 Australia will have a production capacity of 85 mt compared with some 50 mt for the United States. Then there is Russia which is coming late to the LNG exports but it has the resources to expand its production fairly quickly. As for oil exports, it is virtually impossible for the US to become a net oil exporter. The US currently imports between 7 -8 million barrels a day (mbd). The US consumed an estimated 19.73 mbd in 2017 and this is projected to rise to 20.23 mbd by 2022. So unless US production exceeds 20.23 mbd by 2022, the US can’t become a net oil exporter. The US Energy Information Administration (EIA) said that US oil production in 2017 was 9.3 mbd. 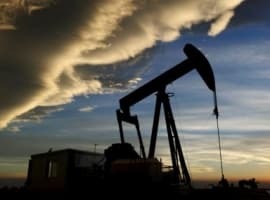 It is impossible for the US to raise its oil production to over 20 mbd by 2022 to become a net oil exporter despite the hype by the EIA recently about the US becoming self-sufficient of oil by 2029 and even overtaking Saudi Arabia and Russia to become the world’s largest producer by 2020. 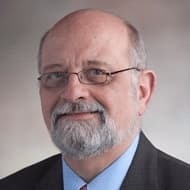 Both the respected Post Carbon Institute and MIT said recently that the EIA is seriously overstating US oil production and the potential of the US shale oil industry. 1. 'Today, an amount approaching 2 million barrels a day is leaving the US, bound for higher-priced markets abroad' . Here I must point out; Mr Moors did not tell us the 2 million barrels US export means petroleum products not crude oil export ( crude and refines products), so far since the lifting crude export ban, export of US crude is always around 1.5 million barrels. 2. 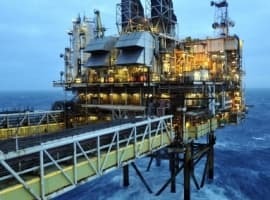 Now US produces 10 million barrels of crude a day, though the average USA refineries intake is about 16 million barrels of crude a day, US still imports about 8 million barrels of crude a day, this is because most US refineries were designed for refining heavy grade import crude, most US crude is light sweet crude which is only used to be mix blended with import heavy crude. 3. Therefore, it is an absurd claim that US will be a net crude export. Unless, all US refineries are rebuilt for light sweet crude intake, otherwise, it is just a childish illusion. An average fully commercial refinery plant costs more than $9 billion dollars. 4. One last thing Mr Moors did not consider is: shale oil wells have very short life span and the decline rate is extremely high compared to conventional oil wells. Last, without oil price over $70, most USA shale oil producers are money loss enterprises. the cost of production is sky high even with so much hype and propaganda about shale oil technology advancement.